Nathaniel Wright Stephenson (1867-1935) was an American author. His works include: Abraham Lincoln and the Union: A Chronicle of the Embattled North (1918), The Day of the Confederacy: A Chronicle of the Embattled South (1919), Lincoln: An Account of His Personal Life (1922) and The Confederacy and Reconstruction (1926). 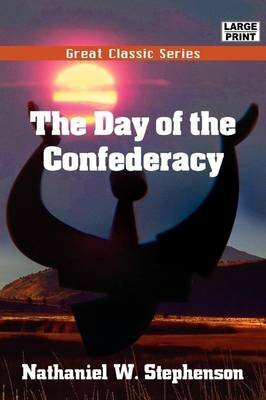 "The secession movement had three distinct stages. The first, beginning with the news that Lincoln was elected, closed with the news, sent broadcast over the South from Charleston, that Federal troops had taken possession of Fort Sumter on the night of the 28th of December. During this period the likelihood of secession was the topic of discussion in the lower South. What to do in case the lower South seceded was the question which perplexed the upper South. In this period no State north of South Carolina contemplated taking the initiative."